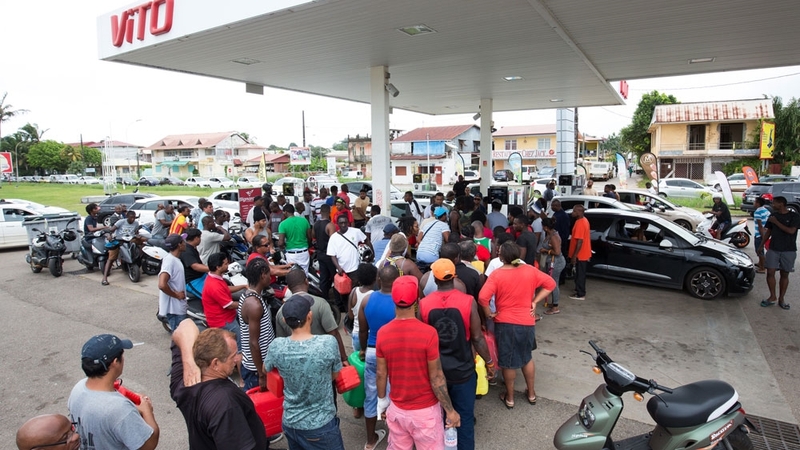 Parts of French Guiana, including schools and shops, were shut down on Monday, amid a general strike over high crime rates, the cost of living and lack of public services. “The first priority is the fight against insecurity,” French President Francois Hollande said. More than 30 labour unions launched the strike, demanding a “Marshall Plan” to improve public services and security. “This has gone on long enough! All we have is plundered, it’s time to recognise the people of Guiana,” a woman at a barricade blocking access to the airport in the capital Cayenne told AFP news agency on Sunday. Antoine Karma, Guiana’s representative to the French senate in Paris, said those in the territory are without basic social services and goods. “Today, 30 percent of the population still does not have access to drinking water or electricity,” Karma told French media on Monday. “We are not treated the same way as the French on the French mainland,” the socialist party politician said. Marine Le Pen, the far-right leader, condemned what she called a “cruel minimum service” delivered by French governments to the territory. She also blamed “mass immigration” for insecurity, according to local media. Independent centrist candidate Emmanuel Macron, who just completed a tour of France’s overseas territories, called for calm, saying the situation was “serious”. He was later mocked for calling the overseas territory an island, which it is not. Conservative candidate Francois Fillon blamed the situation on “the failed policies of Francois Hollande”. The unions part of the strike have called for a complete shutdown of activity on Tuesday, according to the France-Guyane newspaper. The protests also led to the postponement of an Arianespace rocket launch at Europe’s Guiana Space Centre in Kourou.